Minnesota Wild adheres to the Clear Bag Policy already in place at Xcel Energy Center. Walker’s Lockers is present at every game to make it easy for fans to securely check their items and enjoy the game worry-free. Walker’s Lockers is the ONLY OFFICIAL AND APPROVED Bag Check Service for Minnesota Wild. We carry Liability and Bailee’s insurance to protect your property while it is in our possession. 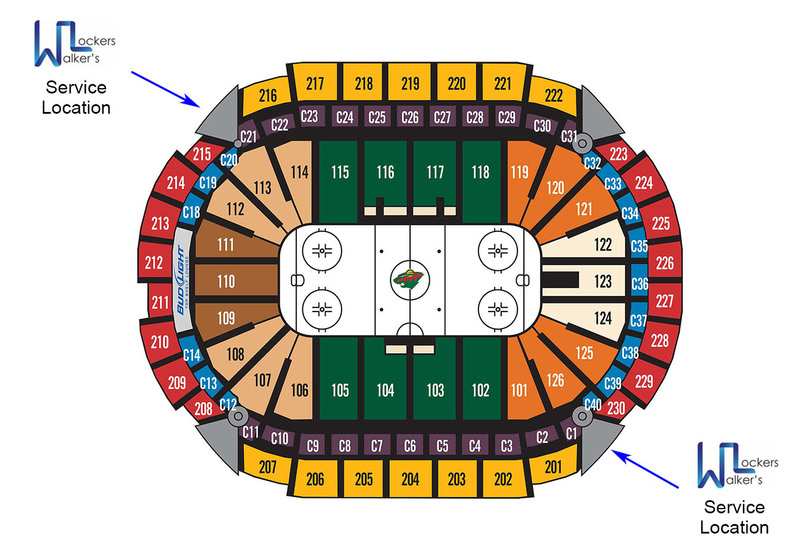 You will find us located inside the Xcel Energy Center Lobby by Gate 1.